(CNN) - Amy Poehler is down for a "Parks and Recreation" reboot. 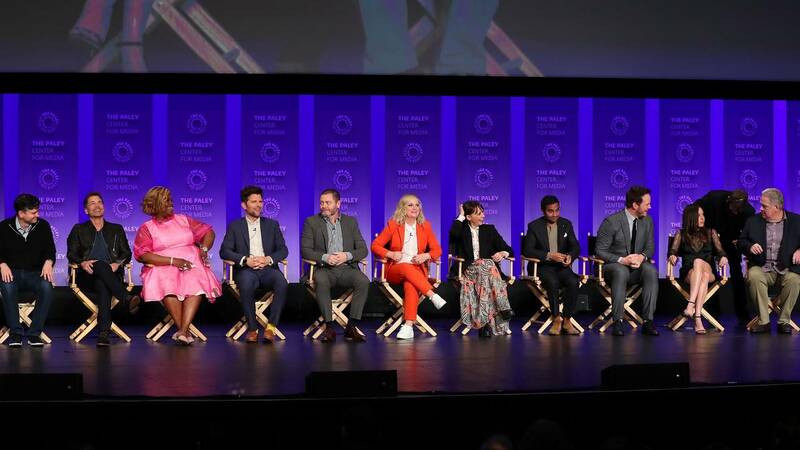 The cast of the hit show came together Thursday night at the PaleyFest to celebrate their 10th anniversary and that's where Poehler revealed it's simply a matter of when. "Mike Schur is currently working on about five shows," Poehler told Variety. "Whenever Mike is ready, I'll put on my suit again for sure." The hit show ran on NBC for seven seasons starting in 2009. Poehler played Leslie Knope, the deputy director of the Parks and Recreation Department in the town of Pawnee, Indiana. The show also starred Rashida Jones, Paul Schneider, Aziz Ansari, Nick Offerman, Aubrey Plaza and Chris Pratt. Poehler also told The Hollywood Reporter at the event, "I am so not cool, so from minute one I've been like 'I'm down!' Tell me where to go, I'll clear my schedule. I mean, Mike Schur currently produces and writes on, I think, 14 shows, so it'll really be whenever he is 'tech avail,' as we like to say in the biz. But yeah, I'm ready." Offerman also said he's game. "Oh, sure. I'll do anything Parks and Rec as long as the brass is behind it," he told The Hollywood Reporter. "I mean, the gifts that that show has brought to me I'm still collecting every day, and I don't imagine I'll ever feel that I've fully repaid them." Plaza said she's open to the idea. "It's hard to recreate magic, [so] not yet. But I want to be around [the cast] all the time," she said. "They're the best. I never have had more fun in my life. They're my family."